I love eggnog; always have and am certain I always will. I’ve been pouring a bit in my morning coffee the last few days as I’ve finally got some holiday decorations up and am getting ‘into the spirit’ and nothing quite speaks to me of Christmas like eggnog. Especially eggnog with a bit of a kick. It’s good in coffee but it’s better with booze! Every year about this time I start thinking about what kind of eggnog cocktail I’ll make. It’s a lot like cranberry sauce at Thanksgiving; I want to create a new recipe and have a new libation, not one I’ve already done before. Because of my passion for coffee and eggnog in the morning I thought it would be fun to do a cocktail with some caffeine too; just a little bit. Not enough to wonder why I’m still awake at 3am but enough to boost the flavor profile I was looking for. Started in 1973 as a company offering only honey; they’ve ‘blossomed’ into something much more. 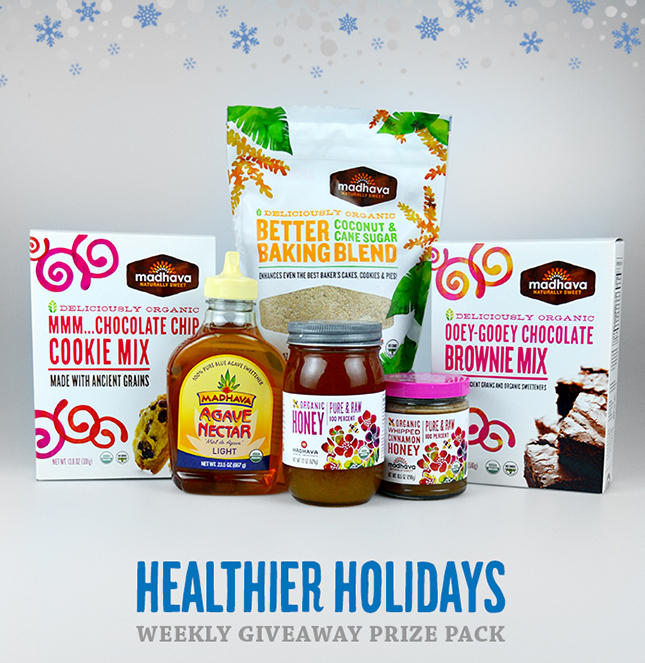 Using their all-natural sweeteners; they’ve created delicious products using ingredients you’d find in your own kitchen. From breakfast to baked treats or croissants to coffee, they’ve got a scrumptious product to fit the bill. I’ve purchased the Coconut Sugar and the plain Organic Agave; both products I use a lot for breakfast and my foray into cocktails. Coconut sugar is a favorite for warm winter cereals and the natural Agave is perfect for margaritas; probably my all time favorite cocktail. While I have no problem making and storing WAY too many flavored simple syrups, I do like the ease of always having a bottle of Agave Syrup on hand for margaritas…and maybe it’s just me but doesn’t that sound like what should be in a margarita anyhow? I thought so! 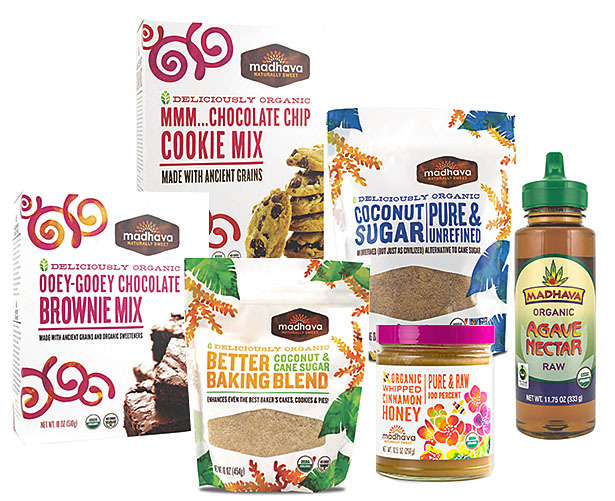 Checkout below for a chance to win a package of goodies from me and hop on over to Madhava’sFacebook page for their own giveaways. One winner every week through the end of the year will receive the prize package above and one Grand Prize winner that will win a Nespresso VertuoLine Coffee and Espresso Maker and a supply of Madhava products. The more you share the greater your chances! To find a product you want now visit their website to order online or checkout their store locater to see where you can purchase products locally. I love these products; can you tell? But this is really supposed to be all about a new holiday cocktail so let’s get to it. First, I love Frangelico. I love the flavor of Hazelnuts and I smile every time I pull out that bottle with the look of a monk with a rope belt tied around the middle of the bottle. Hence the Merry Friar; I know after a couple of these those monks would be smiling. What I loved about using the Madhava Hazelnut Coffee Liqueur was it allowed me to lessen the Frangelico a bit, knocking back some alcohol content without sacrificing the hazelnut taste. I’m in the holiday hosting mood and I like to keep an eye on every drop. I want guests to have a great time but I also don’t want to have to drive them home! Even though considered a product for sweetening coffee; for me it’s multipurpose; all three of these products are perfect for cocktail making too. Win-win right? Almost last but certainly not least was the eggnog. This is certainly personal preference but I use a local product from Royal Crest Dairy. It is amazing; so thick and rich that I actually cut it with a bit of milk usually. So buy or make what you love; once you mix it with other components I assure you it will taste great. All mixed together with a dusting of nutmeg and the end result was perfection. Definitely sweet so something to be served as a dessert cocktail but with a nice warmth from the vodka. Though not technically a warm cocktail; that subtle bit was enough to warm me, that’s for sure! I dust mine with nutmeg but you can use cinnamon or nutmeg or both. Or neither. It’s all good. All entries must be by US residents 18 years of age or older. The giveaway will be open one week, closing at Midnight, December 19, 2014. The winner will be notified and must respond with their shipping information within 48 hours or another winner will be drawn. Leave a comment (required); would love to know if you’ve tried Madhava and/or which product you love the most. Follow Madhava on Facebook and leave an additional comment indicating you have. Follow Madhave on Pinterest and leave an additional comment indicating you have. Follow Madhava on Instagram and leave an additional comment indicating you have. Follow Madhava on Twitter and leave an additional comment indicating you have.